The chasing Volvo Ocean Race pack were formulating their comeback plans on Friday in a bid to reel in Leg 6 leaders PUMA -- while struggling Groupama fell further behind the frontrunners. 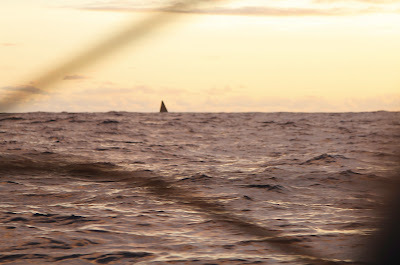 PUMA Ocean Racing powered by BERG were still enjoying a 15-mile buffer over their rivals as they neared the northeast corner of Brazil, but overall race leaders Team Telefónica currently in third, were starting to show signs of recovery as they began to find their pace. Under the guidance of Spanish Olympian Iker Martínez and expert navigator Andrew Cape, Telefónica scythed 11 miles off the pacesetters in the past 12 hours. Telefónica, who top the overall standings by 16 points, have been playing catch-up after their plan to position themselves east of the fleet failed to pay off and they were left in fourth place just ahead of Groupama sailing team. Since then Telefónica have overhauled Abu Dhabi Ocean Racing to jump up to third and at 1300 UTC on Friday they were the fastest boat in the fleet, trailing second-placed CAMPER with Emirates Team New Zealand by 13 miles.Cape, who has seen his team to three offshore leg wins so far, said the crew were confident of a comeback. The same could not be said for French team Groupama who have struggled to find their feet, now 104 miles behind PUMA with little chance of making up ground in the immediate future. Despite their current deficit, Marsh said the leg was far from decided with more than 3,500 miles left to sail to the finish in Miami. 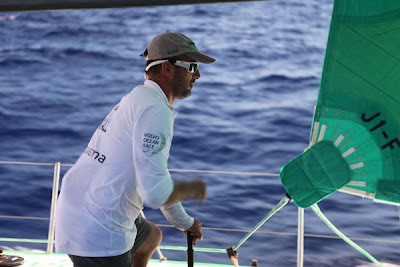 “We’ve fallen back behind the fleet a little bit but there’s still lots more chances to catch up on this leg,” he added. “The fat lady hasn’t sung just yet, and I don’t think she knows what song she’s going to sing. 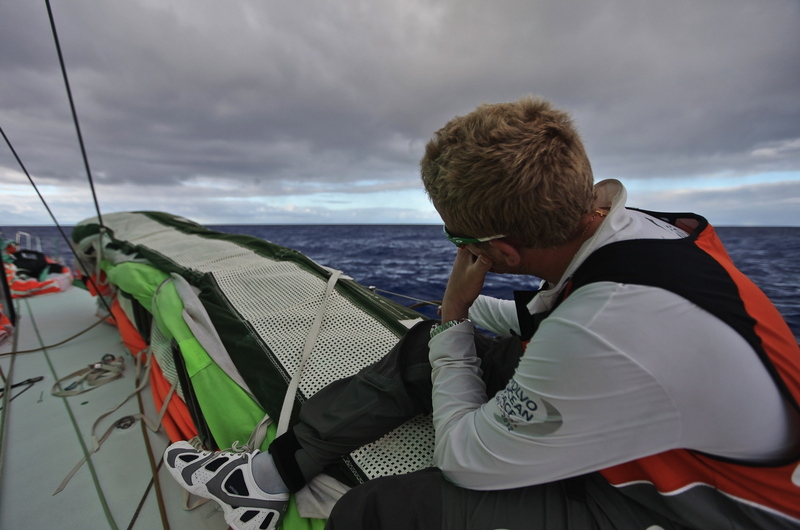 Although into the favourable and more consistent trade winds, the teams have not seen the blistering speeds they had hoped for due to the effects of a low pressure system in the South Atlantic. Once past Recife on the northeast tip of Brazil, expected to happen tomorrow, speeds will increase as the wind strength intensifies. 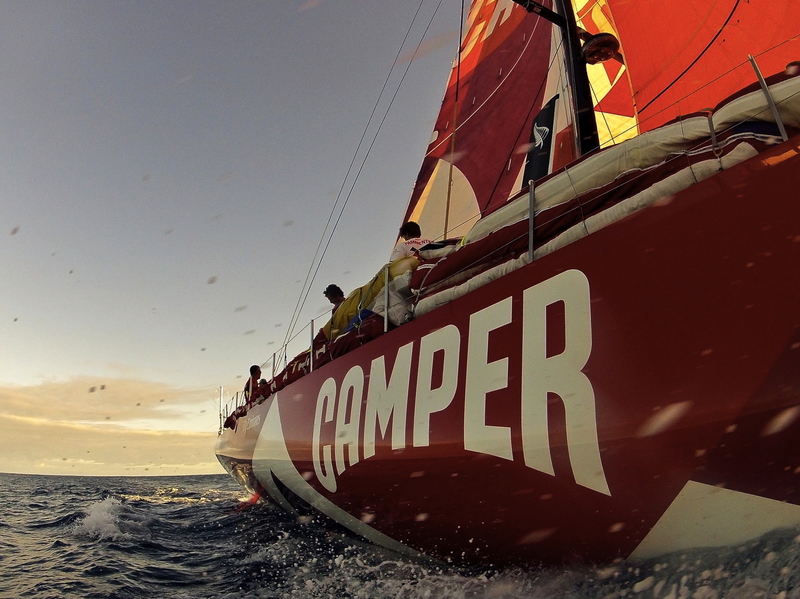 On second-placed CAMPER, the crew’s focus was directed fully at whittling down PUMA’s lead. The current ETA for the leading boat into Miami is May 8.